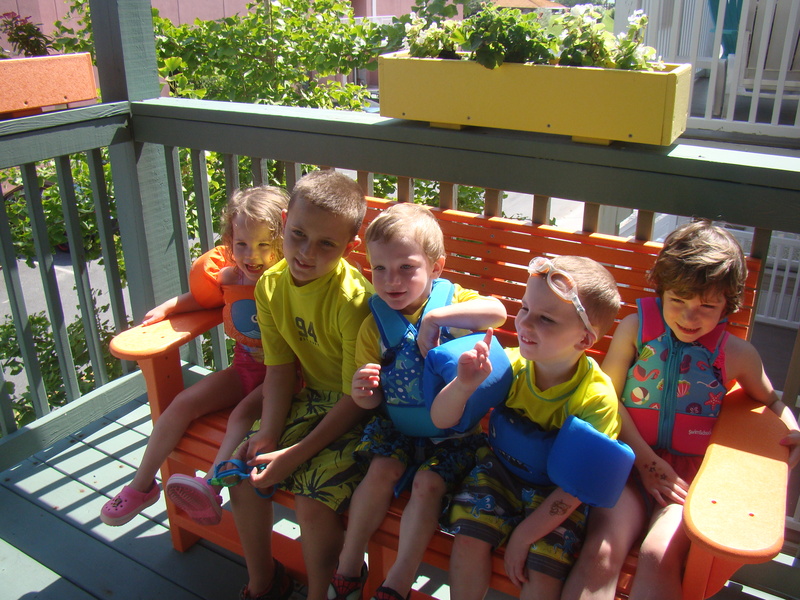 The first week in August at the Children’s House by the Sea in Ocean City, MD, was common in many ways: all five units were booked with families, there was a perfect stretch of 84° and sunny days predicted, and we had a great Monday Night BBQ planned to welcome the incoming families. During the BBQ, our staff was introducing themselves and encouraging the families to get to know one another. While this helps break the ice and allows families to become acquainted quicker, we noticed two families that seemed to be right at home with each other. 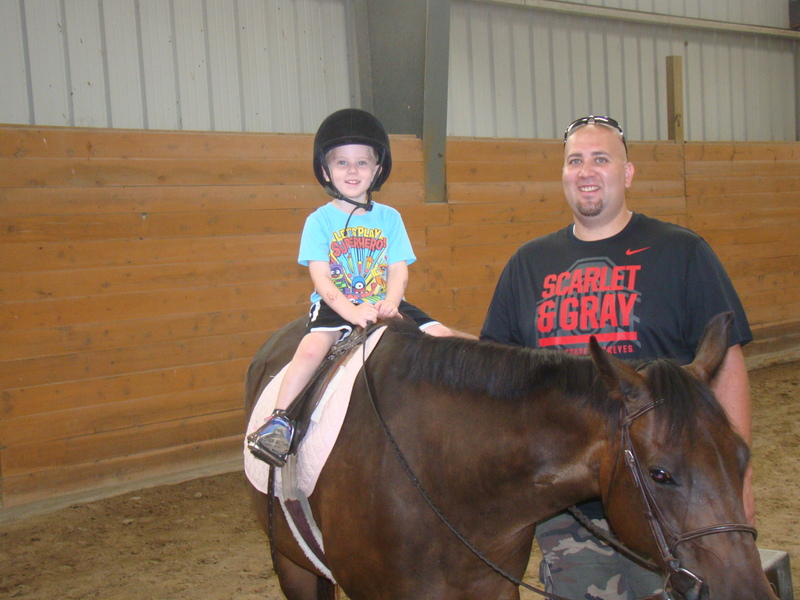 When our Ocean City Program Coordinator, Wayne, introduced himself, he was astonished to learn that the families were related, and they both had a child with a serious illness. Dominic Clarke was diagnosed in 2012 with acute lymphocytic leukemia (ALL) when he was just five years old. The rest of the Clarkes, Dominic’s parents and younger twin brother and sister, quickly adapted to the change. Hallie, Dominic’s father, took on longer hours at work so Dominic’s mother, Carrie, could stay at home with the three children. For Dominic’s siblings, “It’s all they’ve ever known,” Hallie said about how the illness has affected the family. At the time of Dominic’s diagnosis, however, it was another family member that offered invaluable support. Carrie’s sister-in-law, Heather Hunt, is a registered nurse and lives near the family in their hometown of Lancaster, OH. She offered support, listened to concerns, answered questions, and provided countless resources to the family. Little did the Clarkes know, though, that they would soon return the favor. Heather’s four-year-old daughter, Katie Hunt, was diagnosed with Wilms’ tumor a year and a day after her cousin, Dominic, was diagnosed with ALL. When it was their turn to lend a hand, the Clarkes didn’t hesitate to step in. “Carrie was great. On the first night when we took Katie to the hospital, Carrie came and picked up our youngest son, Elijah, so my husband and I could stay with Katie overnight,” Heather remembers. While the two families were close before Katie and Dominic’s diagnoses, they have since relied on each other for support and strength. “We tried planning a vacation together soon after Katie was diagnosed, but we gave up due to scheduling and financial concerns. With the hospital and treatment expenses, it was just too difficult to coordinate something,” Heather noted. Fortunately, Believe In Tomorrow has a relationship with the social workers at the National Children’s Hospital of Columbus, where Dominic and Katie receive treatment. Dominic’s mother was speaking with a hospital staff member when Believe In Tomorrow’s respite housing program was suggested. Carrie informed Heather of the program, they applied, and both families were accepted a week apart. 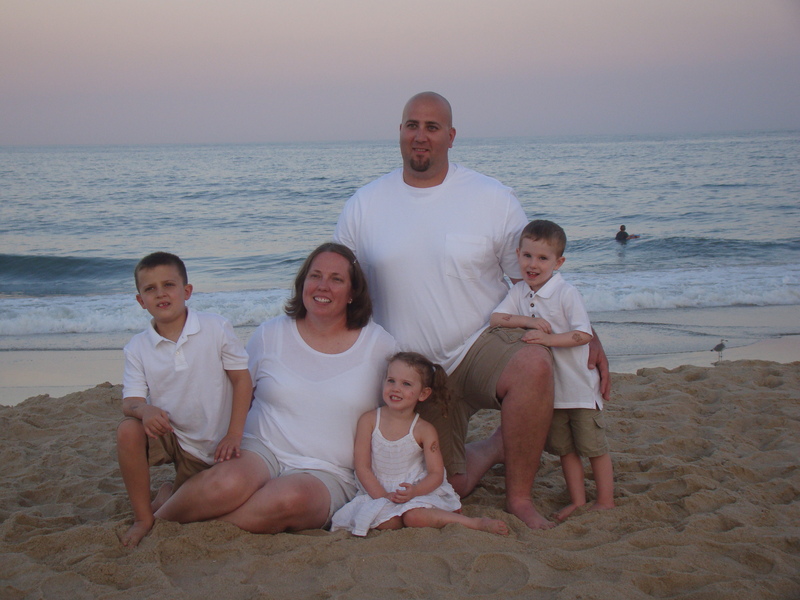 The Clarkes and Hunts set out from Lancaster, OH, and arrived in Ocean City, MD, to spend the first week of August at the Children’s House by the Sea. They took full advantage of the great weather and fun activities: enjoying local cuisine, fishing, horseback riding, and sightseeing the bay on a private boat. 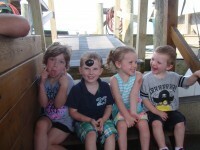 “The highlight for Katie was the boat ride. She likes going fast, and when the captain saw this, he kept speeding up! 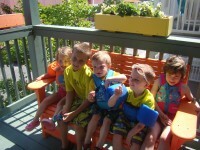 Elijah, her brother, loved being on the water too and was chatting with the captain the whole time,” Heather remembers. Hallie noted “the accommodations were awesome,” but both families agreed that meeting other families at the house was priceless. “Dominic quickly made friends with two other boys at the house around his age. They all have leukemia, and it was really nice to talk to their parents and hear how their journeys compare to ours. We ran into them at the Jolly Roger amusement park, and the boys competed against each other in the rope course,” he commented. While exciting activities and great weather can make experiences in life fun, it’s the people we share them with that make them truly special. This is why families rely on each other for support in the most trying times, and it’s why Believe In Tomorrow promotes a communal environment in all of our homes. We believe the definition of “family” extends beyond just relatives. Families in our programs are offered more than the opportunity to reconnect with one another; they’re offered the opportunity to join the Believe In Tomorrow family.